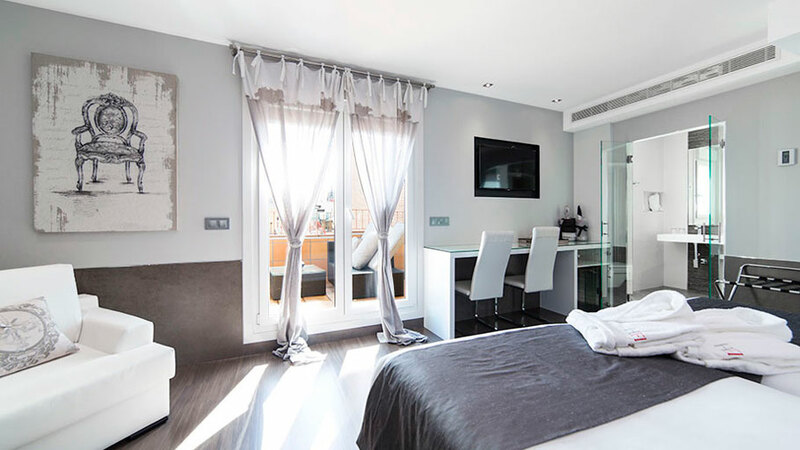 Located in Madrid, in a part called the Austrias, and just a few metres from the Puerta del Sol, one can find the Francisco I Hotel, a place to stay which is right in the very heart of the Spanish capital, and it offers an exclusive service in both a homely and charming atmosphere. 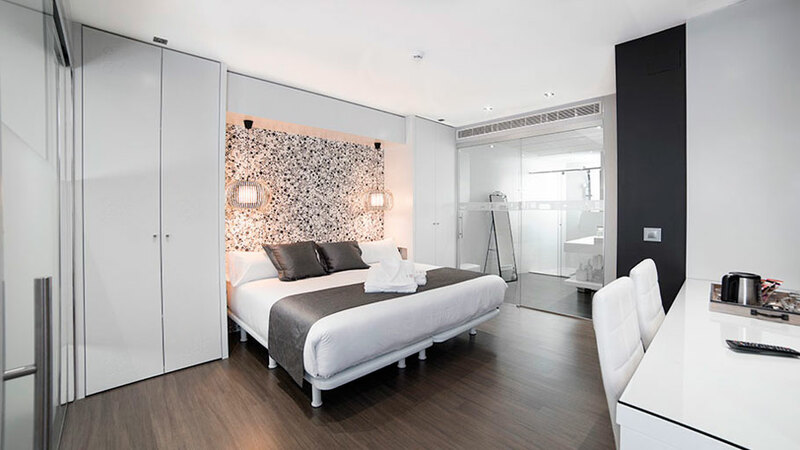 The Francisco I Hotel boasts about the fact of being situated in a unique location which is ideal for exploring the city. 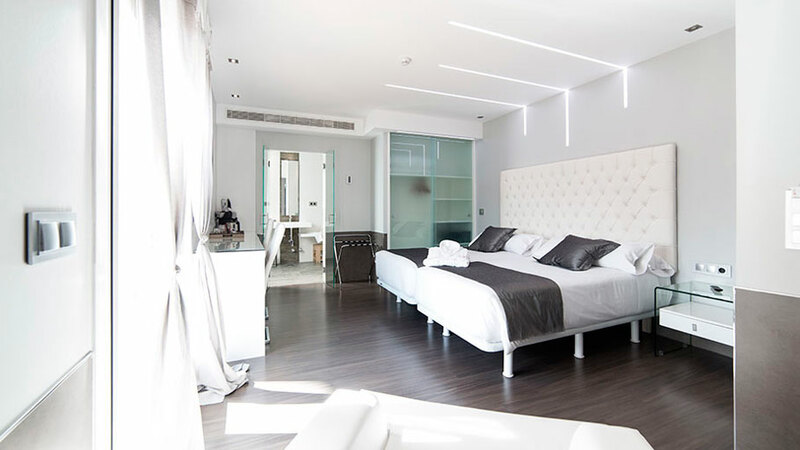 Furthermore, because of its 79 newly renovated rooms, it has become a modern hotel, and it is the perfect place for both a nice stay and a nice rest. 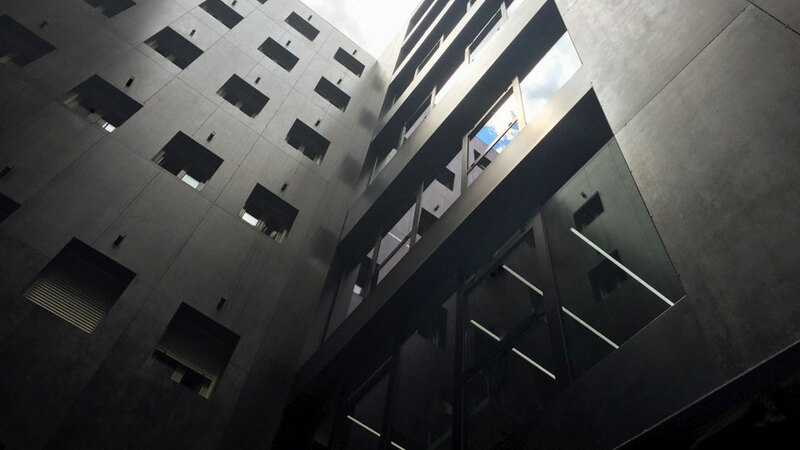 In its renovation, the hotel has banked on PORCELANOSA Grupo’s firms’ products and it is also currently working on the improvement of its interior patio with the aim of turning it into a ventilated façade. 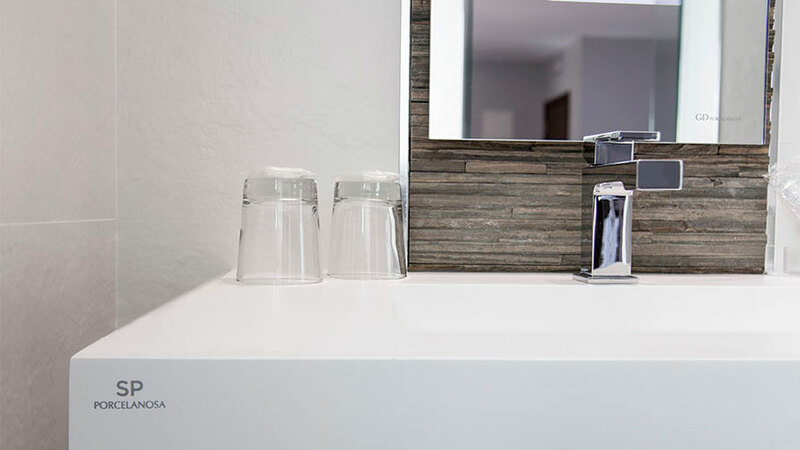 The state-of-the-art KRION® Solid Surface mineral compact has been the choice regarding the material desired for the bathrooms. 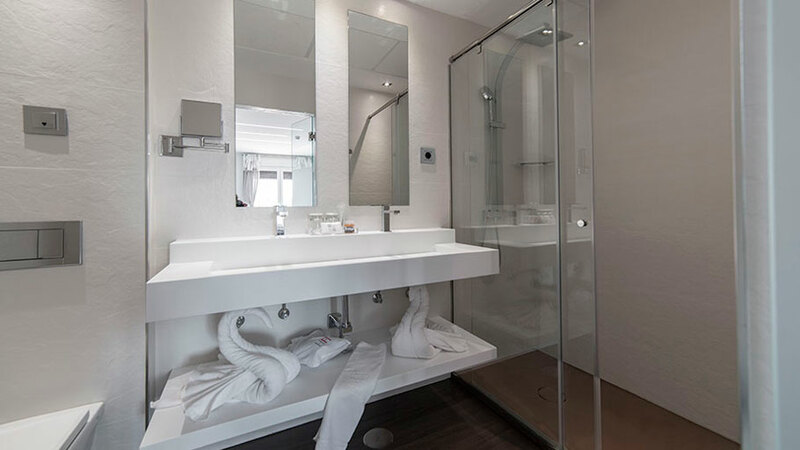 Both for the bathroom worktops and the shower trays, as well as the shower screens and shower columns, the KRION® BATH collection has been the choice. To be precise, the Kole model with 150×150 white pieces, together with the products from Systempool. 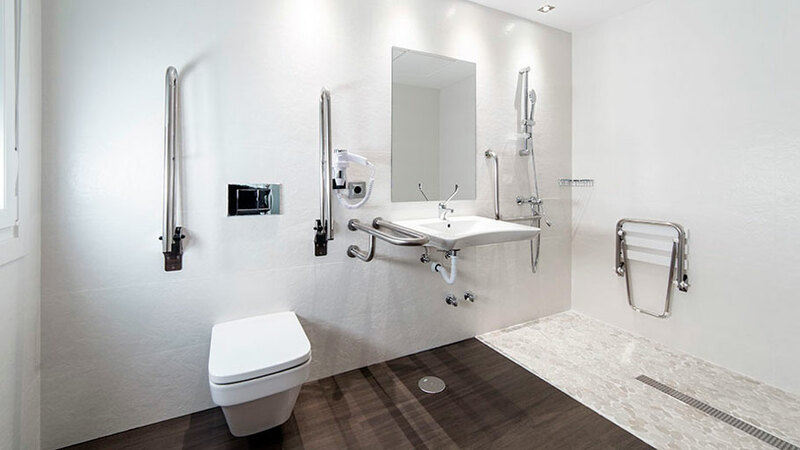 In order to complete the bathroom design, both the bathroom equipment and the taps by Noken have been used. 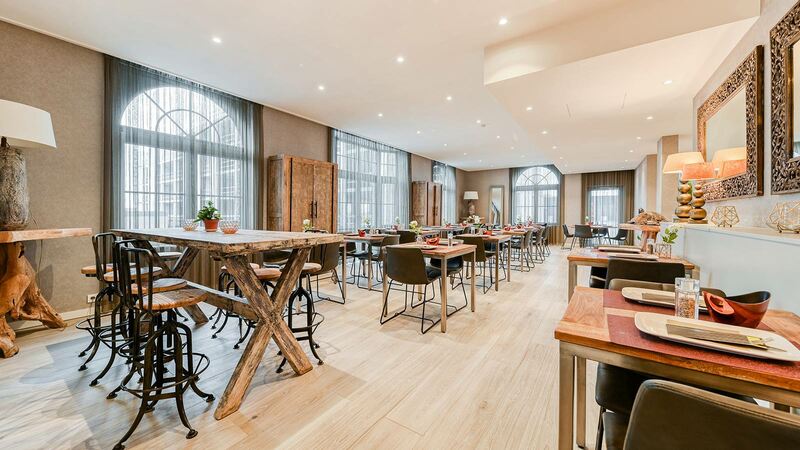 L’Antic Colonial has been the selected firm for the general laminate flooring which is to be installed on the 6th floor of the building by means of the Linkfloor Hotel Air Walnut model. Likewise, L’Antic Colonial has been the chosen firm for the baseboard wall tiles and floor tiles in both the bathrooms and the rooms by means of the Paradise Lake and Paradise Baía black-and-white mosaics. 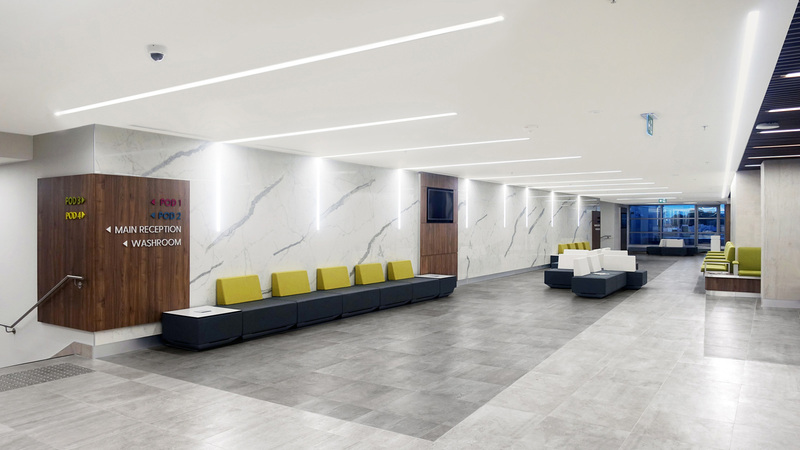 With regard to the interior wall tiles for the rooms, the materials by Urbatek take precedence, thanks to the advantages of the Xlight extra-slim through-body porcelain and the fine modern gloss-textured finish of the Code Coal Nature model. There have been several products chosen by Butech, among those highlighted are the chrome decorative profiles of the corners, the distance between the ceramic wall tiles and the shower tray waterproofing, along with its bonding materials. 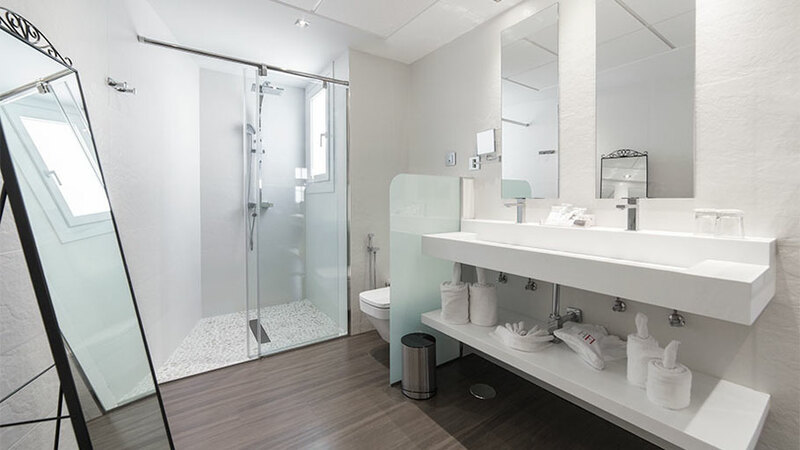 Last, but not least, the wall tiles and baseboards in the rooms have been finished with both the Bali Nieve and Samoa Antracita models by Porcelanosa. As far as the interior patio renovation is concerned, an industrial appearance with long-lasting materials which remain unaffected is a must. Hence, the highly-resistant extra-slim porcelain Xlight Rust Dark Nature, by Urbatek has been used, thus, providing a steel metal effect with gloss details. 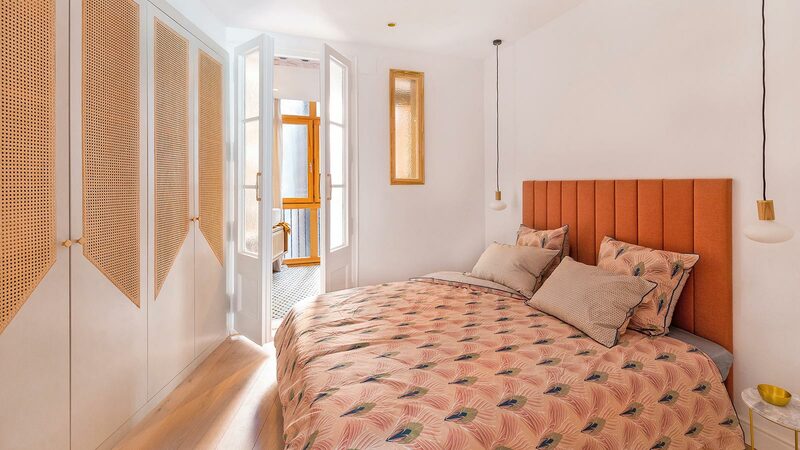 So, the Francisco I Hotel in Madrid has achieved the perfect balance between the romanticism tradition of the Habsburgs and the most avant-garde appearance with the use of the most innovative materials.